The heart is a universal sign for love, and like the heart, the broken heart is just as universal to symbolize a heart break. Whether it is the loss of a friend, lover or family member, this iconic tattoo tells a tale of invisible woe and despair. Broken hearts can take many shapes. 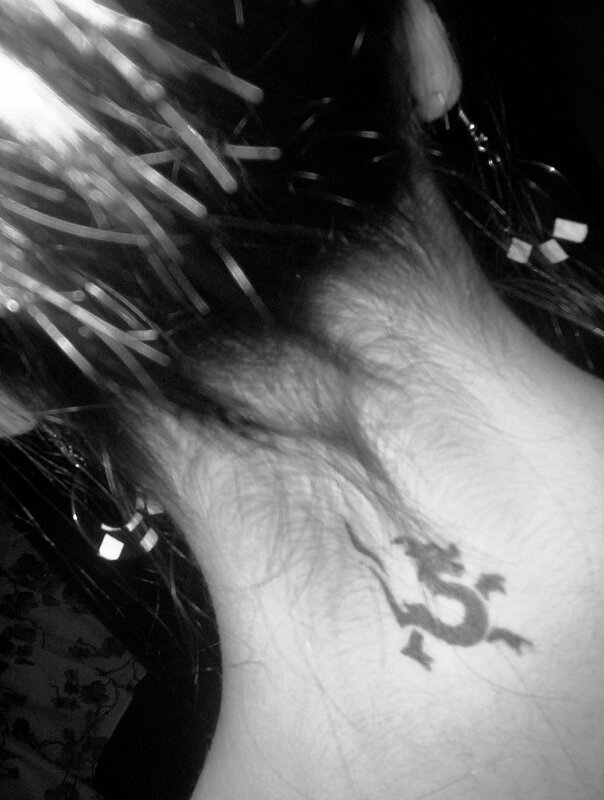 They can symbolize loss, degradation, or even death. Just like love isn't limited to one gender, tattoos of a broken heart can be found across all genders and nationalities. These diverse pieces can also fill large to small areas, and they can be designed to fit on any area of skin. You can also find many types, from the classic dagger heart shown here to more unusual designs. While you might think that full color is the only way to display a broken heart, black and gray pieces can also make some of the greatest impacts. The arrow is typically representational of cupid's arrow and how it pierced through the heart when you met that special someone. However, the blood shows the breaking of the heart and how that person took a little piece of you with them. The heart isn't completely shattered, but it isn't the same either. This style of tattoo is typically found more on men than women. Additionally, this tattoo is versatile so it can pretty much fit anywhere on the body. You can find this type of heart in a discrete area like behind the ear or it can take center stage on a full chest piece. Commonly, you can see these on the bicep or possibly shoulder blade. The heart dagger tattoo is a classic tattoo that typically symbolizes treachery or deceit from a loved one. You might find this on a scorned lover or on a family member that feels like they have been wronged. This visually stimulating symbol allows you to really see how the person feels betrayed by the offender. They quite literally pierced right through their heart. Bad breakups are common in both genders and like the breakup itself, this quintessential broken heart tattoo can be found on both ladies and gents alike. While the heart dagger can essentially fit anywhere, you might find these tattoos on biceps, ankles, and for added effect, right over the heart. You can take the heart dagger tattoo even further by adding a scroll and a name to the design. In this design, the heart was typically pierced by the loss of a loved one in death. Therefore, you want to memorialize this person on your body and show how your heart will never truly be the same. The memorial tattoo can commonly be found in areas that are seen like the bicep, shoulder blade, ankle and chest. However, the piece is very modifiable and can fit pretty much anywhere. Sometimes the heartache is so strong, it feels just like your heart is crumbling apart. This response-invoking black ink piece shows you the wearer's pain. Not only is the heart shattered, but it is actually crumbling apart like burned paper. As an observer, you can feel the power of the loss and how it has affected the person. The black work on this piece is what makes it so striking. While it could be done in color, the black work allows you to feel the scorched heart of the wearer and physically see how his or her heart is crumbling apart. Additionally, the design of this piece would allow it to work on a small scale, but given the symbolism, having it larger works more to your advantage. You might try this in large areas like your arm, chest, or back. Try it on the upper thigh, calf or top of the foot too. Sometimes when you lose the one you love, it feels just like that: an instantaneous piercing that collapses your heart all at once. The bullet through the heart is the ultimate betrayal tattoo, as it effectively animates the fierce pain of your broken heart. The black and grey shading along with the curling flames creeping up the tattoo add to the anguish, creating a passionate, emotion-driven design. The deep emotion of this tattoo makes it appropriate for both men and women, but the bullet and flame motif may make it appeal more to a male audience. The detail and animation of the piece with the bullet flying through work better as a larger design; therefore, large areas like the back or chest are best here. Thorns are a classic symbol of pain. Some may imagine the squeezing crown of thorns displayed on Christ's head. Depict thorns squeezing a heart, and you effectively animate the heartache and anguish of the wearer. When you add the wings to symbolize a lost love, you have a perfect memorial piece. The piercing heart design can work in both full color and black work. This broken-hearted design can fit in most places on the body. In men, you might find this on the chest or bicep. Women might wind this tat along the collar bone, shoulder blade, or ankle. Either gender might choose to place this memorial tattoo right over his or her own beating heart. There are times when your heart doesn't get completely broken, but life events leave noticeable cracks. Maybe you lost a family member or were scorned by a lover. Maybe a friend has moved away. These small life events don't break you but they leave their mark. The cracked heart tattoo can be used to visually illustrate the different cracks that you've sustained. It allows you to show the wounds that love has left on your heart, but how you have remained strong and grown as a person. This heart isn't shattered, it's just cracked. The cracked heart design can be done in full color and black and gray without losing the meaning. Additionally, you could choose to do a bold chest piece or a minute reminder on the inside of your wrist. Placement options for this design are limitless. Have you ever had a loss so deep it felt like it shattered your heart? In full color or black, this classic shattered design can serve as an eternal reminder of a loved one lost or serve as a warning of the heartache that comes with love. The shattered heart can take many forms and vary in detail. Intricately detailed pieces may work better as a larger tattoo, but simplistic shattered hearts can easily fit in small spaces like the skin between your thumb and forefinger. You could also choose to work the shattered heart into a full sleeve or chest piece design. Sometimes you have to piece your heart back together. The stitched heart tattoo is a great way to illustrate your struggles in repairing your broken heart. It externally shows the pain you've endured, but how you are stronger because of it. This design can be simplistic or intricately detailed. The simple stitch could also be turned into a unique corset-like design. The boldness of the design and the style make this one work better in color. Both men and women might find this unique design pleasing to the eye. However, the corset-like appeal that can be added to this one is more common on women. Nothing demonstrates heartache and woe more than a bleeding heart. The slice along the side of the heart shows the wound while the thorns squeeze it, symbolizing the ever-constant pain. The addition of the flames only add to the overall effect of the burning anguish that a broken heart brings. While this design can be done in black and gray, the vibrant beauty of the design and the loss it describes can only really truly be done justice in full color. The piercing vibrance of the red alone encapsulates the whole message of the tattoo. Love hurts isn't just a mantra, it's a fact. Whether you lose a loved one or your girlfriend or boyfriend breaks your heart, you can externally display that hidden pain through a broken heart tattoo. There are diverse designs that can help to truly display the depth of heartache you are feeling.